Rowan University student and EOF program participant Carina Olivas explaining during news conference at State House how the Educational Opportunity Fund helped her make the Dean’s List. A group of lawmakers that includes key leaders from both parties is making it a priority to protect — and possibly even increase — funding for the state’s Educational Opportunity Fund. EDISON – Former President Bill Clinton urged New Jerseyans to support a presidential candidate in the June 7 primary who wants to build bridges, not walls. And that candidate is Hillary Clinton, he told the packed crowd inside the gymnasium at Edison High School. 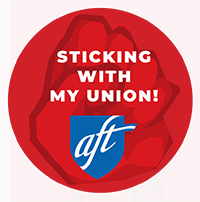 PERTH AMBOY — Contract negotiations between the Perth Amboy Board of Education and the district’s union is no closer to resolution as the BOE declared an impasse on Tuesday, “rejecting a union proposal” over health insurance costs, according to a statement from the Perth Amboy Federation-AFT. 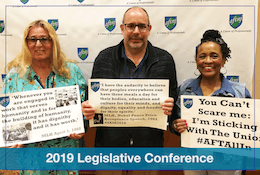 PERTH AMBOY – The leadership of the Perth Amboy Federation-AFT has been notified that the Board of Education has declared an impasse regarding negotiations.